The Segway may be a technological wonder, but motorized balancing transportation has been around for a while. We’ve gathered up some of our favorite motorized unicycles for your knee scraping enjoyment. The design above makes us immediately think of the very recent wonder by [Ben Gulak] that earned him the cover of Popular Science. Strangely enough, when reading about [Ben] we didn’t see any mention of Noah. 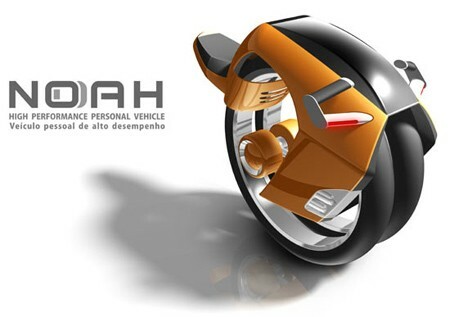 Designed by [Andre Franca] of Brazil, it won 2nd place in the Plascar Automotive Design Contest in 2007. The designs are extremely similar. Artem Kashkanov wrote a reply on Relay clock with flip-flop segment display. Yann Guidon / YGDES wrote a comment on Relay clock with flip-flop segment display.